Some adventures can be had virtually anywhere; others you have to seek out. You can visit virtually any island in the Caribbean and enjoy a beautiful resort or even hike a nature trail, but the Petit Piton, that's a different beast altogether. That's the kind of adventure you seek out if you are brave and if you're looking for a hike that will provide a challenge unlike any you've ever experienced before. The Petit Piton is not an easy hike by any stretch of the imagination, and it is one that many hikers abandon long before reaching the summit. Rates can range from US$70 per person. Looking up the smaller of the Piton mountains, you know it is going to take everything you've got to reach the top. Reviewers who have left reviews on websites say things like "one wrong step and you're dead" for a reason. 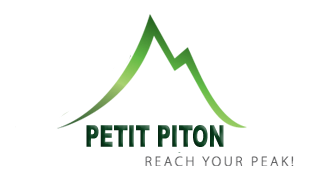 This may be an overstatement, of course, but a Petit Piton climb is no nature trail hike, that's for sure. Definitely not for beginners, this hike requires that you travel with a guide and after only a few minutes of hiking the mountain, you know why. It's hard. Think of the hardest hike you have ever done and add in heat and a nearly vertical ascent and you might have an idea of what this hike is like. Don't get me wrong, hiking Petit Piton is one of the greatest achievements you can enjoy on the island of St. Lucia and the view from the top feels like winning a great prize, but it is no easy feat. I recommend bringing a few bottles of water, as well as snacks and a camera. Put them in a backpack, though, as you are definitely going to need two hands to scale this rock. 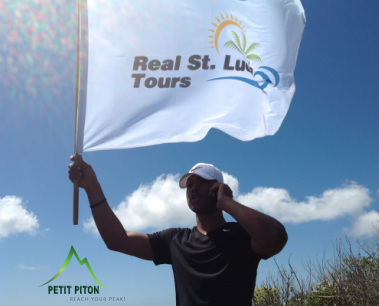 Do not underestimate the difficulty of Petit Piton or the heat of St. Lucia. Bring more water than you think you need, but know that there are few places where you can safely stop and take a drink. 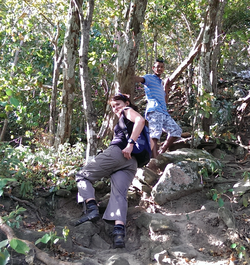 The trail up Petit Piton is incredibly narrow; so narrow that it can be hard to follow at times. The beginning of the trail is easy enough, but it gets incredibly difficult incredibly quickly. Along the way, you will use everything from tree roots to makeshift ropes to pull yourself up the steep ascent. The drop-offs can be especially intimidating, and without a good grip on the ropes or vegetation, there's good reason for that. In some places, the drop off can be as much as 100 feet with only 8 or so inches of slippery trail and a rope to keep you from plummeting. The entire hike is pretty much straight up, there's no stretch of flat, easy trail to be found. At about the halfway point of this 2400 plus foot hike, things start to get really difficult. You're surrounded by lush, beautiful rain forest, but it can be hard to take it all in when you are pressed up against the mountain on your belly, just trying to pull yourself up. The rocks are slippery and the ropes are your only protection against plummeting. Even at its most difficult, however, you can't help but notice how beautiful it all is. The second half of the Petit Piton hike is mostly ropes, and it is definitely more of a climb than a hike. You've got to be fit to make it to the top, and you've got to be ready for real adventure. This mountain is no joke, and your guide will likely ask you more than once if you are able to keep going. If you make it to the top, however, there's nothing in the world quite like it. You have a beautiful view of Gros Piton, but you also have a breathtaking view of Soufriere and of the island of St. Lucia stretched out before you. The beautiful waters below you are enough to take your breath away, and you will swear that you are never going to leave this island. You pull out your camera and start taking pictures like crazy, knowing that you will likely never experience something so majestic and awe inspiring again. It's almost enough to make you forget how hard it was to make it to the top. After a period of rest, it is time to descend the mountain, and again there is no ease to be found. Once more you find yourself with your belly pressed to the mountain as you slowly ease yourself down. The difference now is that your legs are weak from climbing up. Again, however, you are surrounded by beauty even as your body struggles to make it safely back to the bottom of the mountain. Suddenly you are glad that the first half of the climb was even a little easier, as it makes it just slightly easier on your wobbly legs as you scale your way back to the bottom. 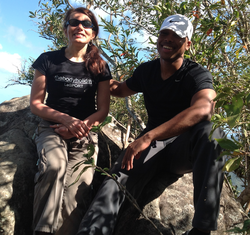 In short, hiking Petit Piton Mountain is not for the faint of heart, nor is it for those who have never climbed before. You've got to love a thrill, seek adventure, want to see St Lucia in a way that few people ever do. 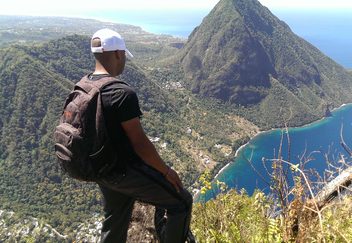 If that sounds like you, then I highly recommend a hike up Petit Piton. It is certainly an experience you will never forget, and it is well worth the fear and excitement you feel as you climb the treacherous slopes. St Lucia is an island packed with adventures for those who seek them, from zip lining across the rain forest to driving through a volcano- but there is nothing on the island that can even come close to rivaling the experience of Petit Piton tours.